One evening while enjoying tapas at one of my favorite restaurants with my then boyfriend and one of his coworkers who considered himself quite the proficient amateur photographer, this coworker kindly informed me that I must not be very photogenic - I'm too uptight and self-conscious. This was the first time I met him - the boyfriend made no attempt to defend me, what a joy. I took it personally - the more offended I became, the more closed-off and awkward I appeared, proving his point - much to his smug satisfaction. 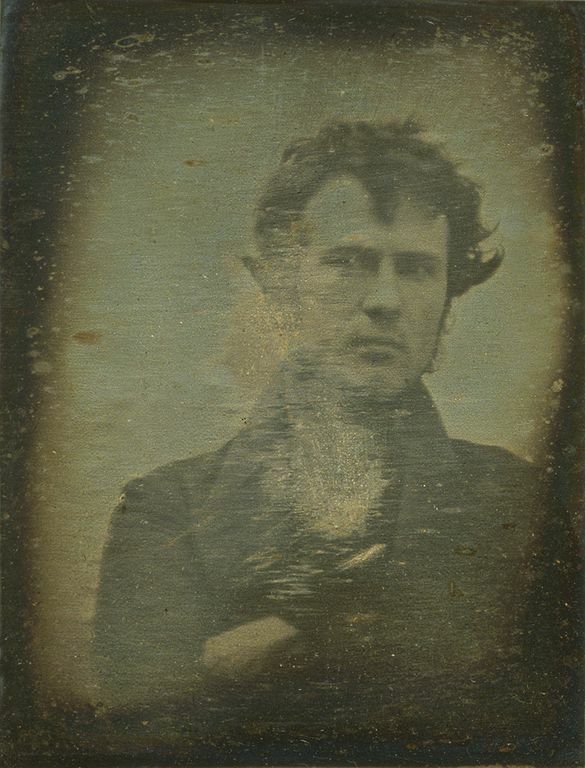 Image has become more important than ever for the artist in the age of selfies. Universities and conservatories offer classes in how to brand yourself (we are now cattle - moo! - branding ourselves - ouch!). I have been in casting meetings for shows where the decision to hire someone has hinged on the number of Instagram follows he/she has. If you browse through the suggestions on Instagram, you will likely find members with hundreds of thousands of followers - on their page will be an array of selfies - no other content to speak of, perhaps an ad disguised as a selfie or a picture with someone else who will equally promote them. 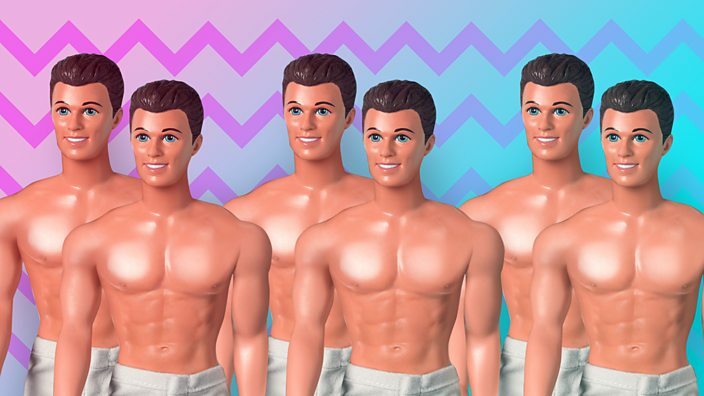 If you go a step further and study the gay versions of these self-aggrandizing profiles, body image becomes even more paramount. Young or old, a six-pack is required (unless bulking, duh) to enter into these treasured existences of monthly Mykonos vacations, protein shakes, and parties where the only necessities are tiny shorts, mobile phones (for selfies), and little blue pills (or whatever color is currently popular - I'm sure there's a rainbow array of choices). And what does this image represent? These gym (and steroid) produced bodies? Health? Athleticism? Or just look like these things? Image, image, image. As Edina says on Ab Fab while perusing several magazines in order to choose a kitchen design (to replace the one Patsy burnt down) - "I want people to think I'm ALL these things." To be our most happy (gay) selves, we must pretend to be the image of masculinity we developed in our formative years. Childish boys dancing around in packs of lookalikes pretending to be the men they always wanted to me. But then we're used to pretending aren't we? Even dancers in theatre - thanks to social media and, if I may say, certain fundraising efforts aimed at exploiting the bodies (and the lust for the bodies) of such dancers - even these actual athletes have changed the way they approach fitness in order to conform to this overinflated anti-effeminate, muscle-bound model of masculinity - to the point where one wonders how they can pirouette at all without falling forward for the weight of the pectoral mounds. My own Instagram is filled mostly with objects or places I encounter along the way through life. I'm not sure I have even one selfie in the mix. At some point I need to get headshots for my career - how I've avoided it so far must be no mistake and related directly to my own self-consciousness (see the above story - he will NOT be taking the photographs). I used to say I don't show up on film when someone wanted to take my picture - but with digital photography, that pretense loses its modicum of veracity (let alone humor). I'll leave you with Ani to enjoy below. As always with her songs, more than pop songs, listen to the words! And what of the poster? Are they capturing this well-lit, overly overjoyed version of themselves eating a taco with the love of their lives (#blessed) for the joys of the future "likes?" Or to "remember" the moment for the self-congratulatory euphoria they feel when flipping through thousands of their own digital pictures on the subway, at a restaurant, in a car, walking down the street, etc. etc.? Celebrating a false past, never experienced only OBSERVED? How do we live in the now? Can now be experienced or is it such a minuscule cross-section of time that one can never be in it but only on either side of it? How far away from now can we experience the now and still be in the now? Actors in the theatre are taught to "live in the now" while onstage, to experience the character's reality in each moment. As a conductor in the theatre, I have to be attuned to the present in order to keep the many individuals in concert with each other during a performance. My piano teacher used to reprimand me for restarting a moment if I made a mistake - I've learned to experience the mistake and continue, but that took years of playing to achieve. 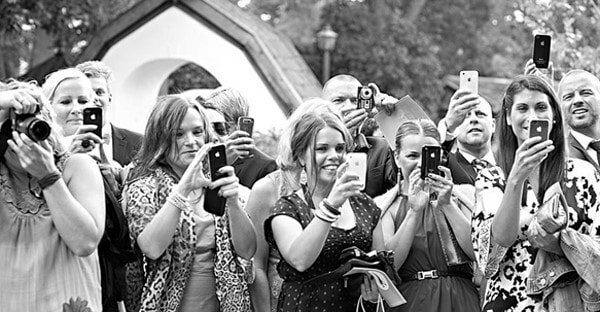 How many times have you been to a wedding and witnessed as attendees watch the bride's procession through a screen? How about a concert? Or a party? We have always learned from the past. We've read stories from the past. Attended plays from the past. And looked at pictures from the past. But that is not what is happening in social media use and consumption. When someone photographically captures(!) 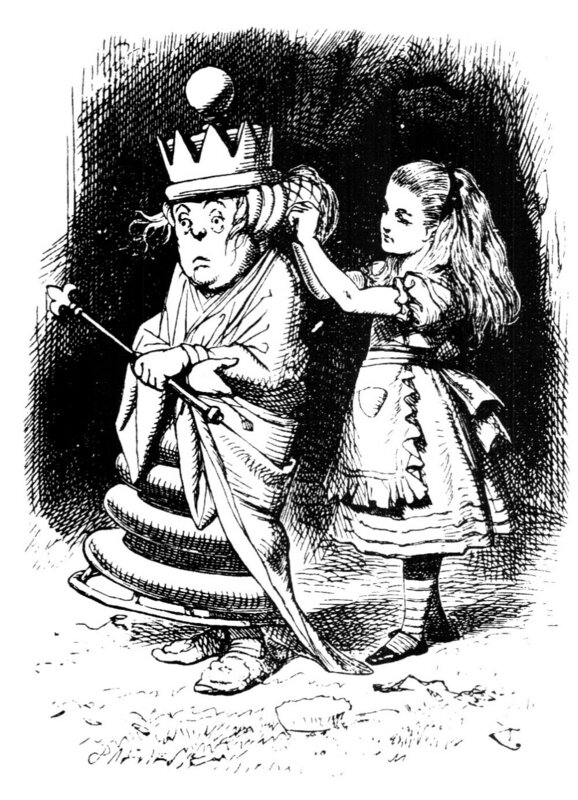 an experience in order to relive it later, they have stepped through the looking glass and into a temporal quagmire. In order to re-live an experience, one must live it first. 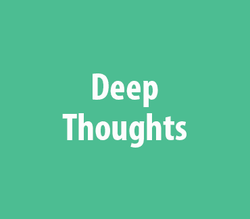 While collecting the information through the filter of a device, the moment that should have been experienced has instead been viewed - in the same manner in which that person intends to consume the material later. If you have never experienced the life moments you record, how can these posts be a reflection of you? We share experiences we have never experienced. You live on either side of the picture - but suspend an artificial representation of yourself (or your experience) in between. You wait to see how many viewers you get, how many likes, how many retweets. You celebrate your past self, who is not really you because you were never doing the deed you captured, only posing or demonstrating the behavior - perhaps redoing the shot many times to get the perfect angle and lighting. You wait to find out the worth of your future self, existing through the acknowledgement, acceptance, and virtual love from others. Is this how we must live now? Tree in the forest living. If no one likes my picture, did the event happen? I've considered not putting this out - these are just my initial thoughts on a much larger societal shift in how humans "interact." I used to think people were living in the past on their phones - but now I think it's both the past and the future. 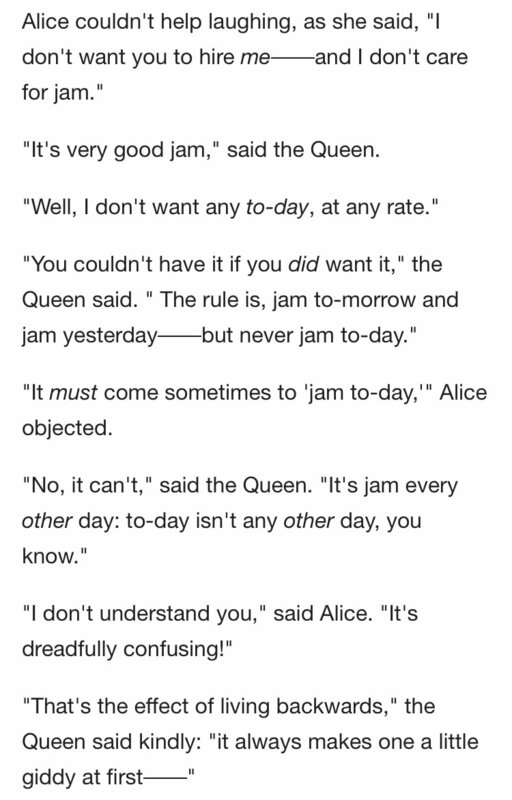 At any rate, click below and please enjoy Carol Channing singing "Jam Tomorrow" from the 1985 TV mini series version of Alice in Wonderland - songs written by Steve Allen. If you have been watching Marie Kondo on Netflix, which I assume you have, then you are familiar with her style of organization for our age of consumerism. Maybe you've chuckled a bit when she knelt down to greet the home or when she insists that one must touch every item to "spark joy" and if no such spark occurs one should thank the item before discarding it. Or maybe you have realized that in an age where plastic is destroying the oceans, taking the time to respect and familiarize yourself with every belonging you own is not such a ludicrous idea. 1) provide a hook for the audience. This can manifest itself in several forms: a "jazzy" introduction or conclusion (a concluding hook is especially desirable so everyone can chuckle at the end in the most erudite manner, be in on the joke, and say things like: why does classical music have to be so serious?? ), a reference to pop culture in some musical form, perhaps littered throughout the piece (if you can quote, Björk, Radiohead, or the Beatles you win), or to cater to the crowd: quotations from other classical works thrown into the last (shortest and fastest) movement as "whimsy" - not to add significance to the piece. God forbid - are you even creative, bro? If (I stress if) instruments happen to play anything remotely similar at the same time, there must be some metric irregularity. Also, the more notes and varieties of rhythm that can be layered, the better the craftsmanship. Seriously, tuplets, tuplets, and more tuplets. All of these: irrational rhythm or groupings, artificial division or groupings, abnormal divisions, irregular rhythm, gruppetto, extra-metric groupings, or contrametric rhythm (from the Wikipedia article on tuplets!). Odd numbers are best. 11's or 17's? They will definitely be accurately played. 4) every note MUST have some kind of articulation and a dynamic marking. Players cannot be trusted to interpret. Leave nothing to chance! And if an instrument uses vibrato, you should specify when and how that vibrato is used. At all times. Ex. over ONE quarter note: vib.-->non vib.-->quasi vib.--->molto vib --> ord. vib. At first, make it seem like you are composing a piece that humorously comments on the more cliché practices of modern composers, then stretch that out for 17 minutes until the audience realizes it has been duped. Just as they begin to despise the piece (and you), add in a non sequitur quotation or "jazzy" section (see no. 1) to gain back their trust. Then, continue what you intended to write. The audience may turn on you again but as long as you end with something tongue and cheek (again see no. 1), no one will mind the 16 minutes of squirming and secretly checking their phones. No, it is not just the fabulous hair, stern look, and hip glasses. As I have studied the music and lives of the Second-Viennese-School composers over the past month, I have been pleasantly surprised by a few discoveries. 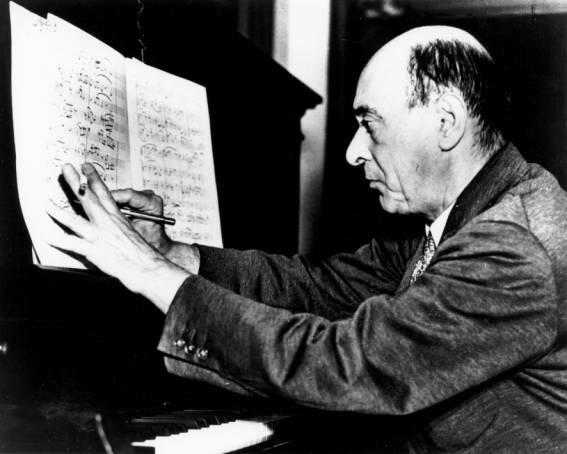 The first being: Schoenberg writes expansive and lyrical vocal lines! Listening to his early songs (especially with orchestra) or even his Pelleas und Melisande, one can easily mistake the work for that of Richard Strauss. The sweep, the grandness, and the (heavy) orchestration all speak to the links between Schoenberg/Strauss and Wagner/Beethoven, the apparent, direct lineage. This week, I have been focussing on Webern, however: reading the 800-page biography by Hans Moldenhauer. (Quite the tome to tote around. And I have been accused of reading a Harry Potter book. Excusez-moi?) 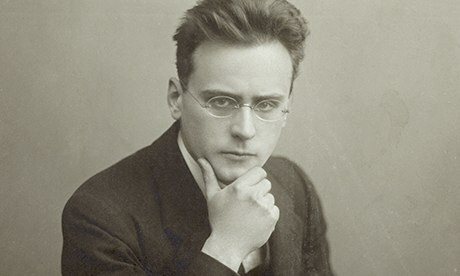 As it turns out, Webern's experiences (and travails) as a composer, seem to mirror my own. And , while I am struggling at the moment to keep myself positive with regard to a career in composition and forcing myself to acknowledge the bigger picture rather than fretting over minutiae, I take comfort in the fact that another composer, whose music I revere, struggled as much. "Now the concert season roars with terrible force! Mostly miserable programmes [sic]! 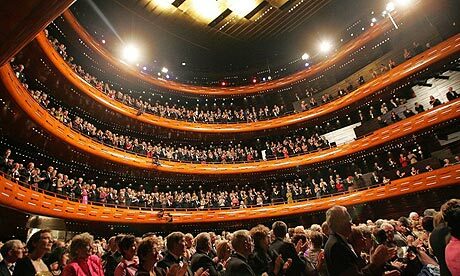 Every concert over-crowded with people who applaud after each number, not caring whether it is good or bad. Probably, nay certainly, the people can no longer perceive any difference. Their taste is continually corrupted by miserable programmes and witchcraft virtuosi." Ok, I definitely felt this at a recent concert that I thought was good, but did not warrant the sudden, almost violent, thrust to a standing ovation (those older patrons are surprisingly agile) at the end of every piece. I feel no obligation to stand - and I can withstand glares, from young and old, so save them for someone else. Now, who knew that Webern worked in the theatre? Not I! Here are some of his reflections on these jobs. I've said or thought all of them at one point or another. "My activities have been horrible. I find no words to describe such a theatre. May the world be rid of such trash! What benefit would be done to mankind if all operettas, farces, and folk-plays were destroyed. Then it would no longer occur to anyone that such 'art work' had to be produced at any price. It is enough to drive one mad." 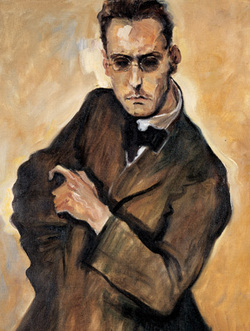 "Mahler remark[ed] that I should not go to theatre since I would not find time to compose. I cannot get this out of my head anymore." Thanks, Gus. Words of wisdom. "I would flee a theatre such as the one where I am at present as if it were a place infested with the plague, and now I myself must help to stir the sauce. Often I am ashamed, I appear to myself like a criminal even collaborating in this hell-hole of mankind. I can hardly await my deliverance from this morass." "I maintain almost unshakably the stand of wanting to dedicate my work exclusively to my compositions. I could entirely forswear every worldly position. If I could only halfway find subsistence in any kind of job that does not take me away from composition, wholly and completely, for months on end. As it is, one must kill off what wants to come forth. This is the difficulty, and it makes me very unhappy." "Publishers, performances–the boy has everything. I will become old before that." Webern was 27 at the time. "Am I thus to spend all my years–feeling redeemed each evening that another day has passed? Does this make any sense? I am growing old and am nothing and have nothing and accomplish nothing, or better, cannot accomplish anything." Yep, I think I have said something similar weekly for the past...well, a lot of years. I have been entering a TON of contests and commissioning competitions over the past three years. With almost no success. Some second places. Mostly no word at all. They take the $100 entry fee (plus the exorbitant cost to print, bind, and ship a score) and run! Ah well. I'll leave you with Webern's Five Sacred Songs, op. 15, which he sent into the Berkshire Chamber Music Composition Contest in 1924 and LOST! Didn't even place. Who won? I guess that is something to research. I need to read how many pages a day? Continuing my study for the month. I have my first comp exam (theory) on April 14th! (Send me some good vibes, please!) And I plan to take a second comp exam in June - so I am double-duty studying! Yay! Actually, I am rather enjoying myself. Going back to the basics, reviewing, and working my way back to and beyond where I am in terms of knowledge is how I like to study. Below is a picture of the books I am reading this month. Of course, all of this is supplemented with score study and listening. Still delving into the 2nd Viennese School oeuvre. Finished my initial study of Berg. 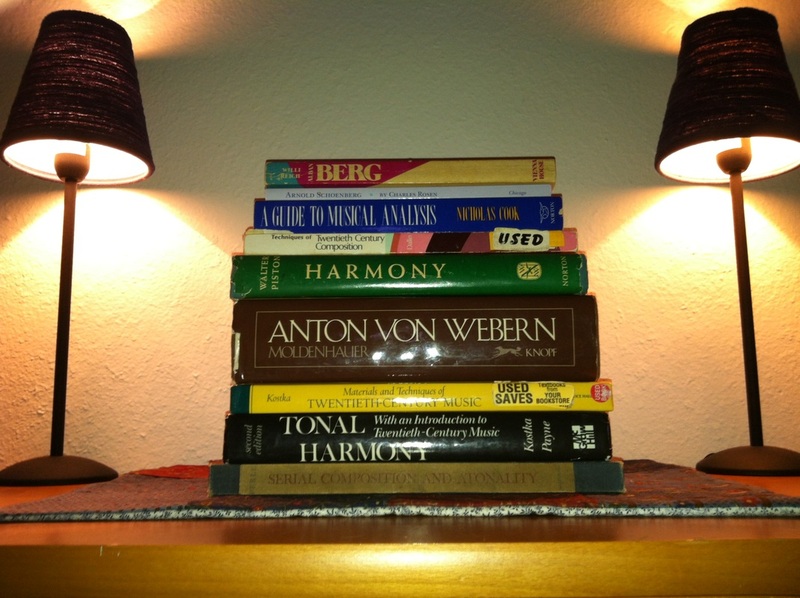 Moved to Schoenberg this week (the order of study was based on when the biographies I ordered came in the mail). Please note, the Charles Rosen book on Schoenberg (under Willi Reich's book on Berg) is 100 pages, while the Anton von Webern bio is almost 800. Oh my. And this week for theory - I need to practice writing fugue expositions again! Gotta go dig out my notes. I'll leave you with three Schoenberg pieces, in which he began to use serial techniques. 5 Pieces for Piano, op. 23 (1920/23) - Considered the first use of serial technique. Without getting into detail, the last movement (the waltz) uses a 12 note motif as the melody, with everything else derived from this "series." "There is one revolutionary aspect about this piece...except at the beginning [of the waltz], the order of the twelve notes is not a melody, but a quarry for melodies; the melodic line may at times start in the middle of one presentation of the set and continue part of the way into the next...The phrases are broken without regard to the twelve-note set, which has an identifiable shape of its own only the first time it is played." The fourth movement, a Petrarch Sonnet sung by bass-baritone, uses the 12-tone technique. The singer repeats the same set of pitches throughout the piece, but, since the lines of the Sonnet are 11 syllables long, "each successive verse begins one note earlier." This is the longest piece of the three and probably my favorite. I love the instrumentation (Clarinet, Bass Clarinet, Mandoline, Guitar, Violin, Viola, Cello), and the quaintness and character of each movement. This piece is definitely serial. Schoenberg uses one set for the entire piece (6 movements), to unify. You can look up the series and its derivations online. 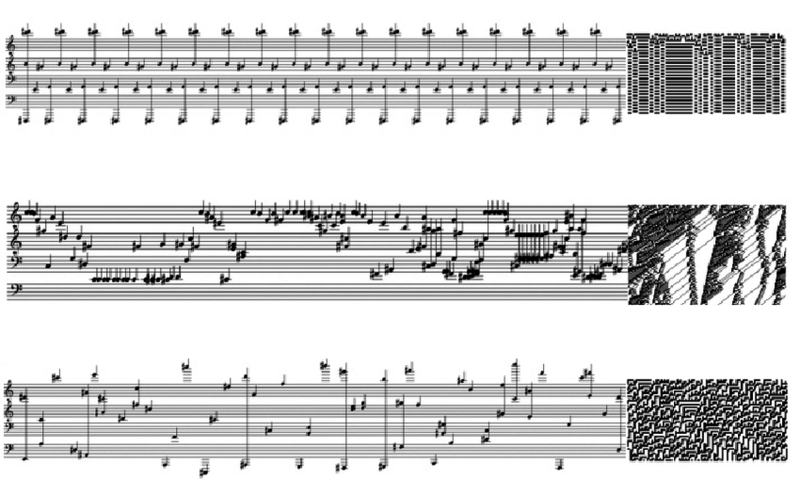 Very symmetrical with the use of the tritone, and references Bach's name in the last 4 notes. Pieces like this are when you go: oh, yeah, genius. Please note that in each of these three works, Schoenberg adopts musical forms and genres from the past, as a sort of reference point. Definitely not free-form, "anything goes" works. And also not cold, unfeeling pieces. Character abounds! If one studies these three pieces with the "image" (sound-image? there must be a German word for that) of the older forms (Minuet, Gavotte, etc.) in mind, the fact that they are "freely" atonal or serial feels almost inconsequential. 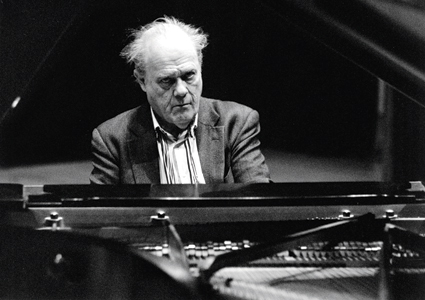 In fact, I find that, free from the constraints of the tonic-dominant relationship and the "tyranny of the octave," as Charles Rosen calls it, the character of each movement (dance form, etc.) comes through with a heightened clarity. More Berg - study, study! As I am writing my own opera (only a 1/2 hour left to complete! ), struggling to finish while I daydream about an actual production of the piece, these stories about Berg (all taken from Willi Reich's book Alban Berg) help me to stay focused and hopeful. In 1922, after completing the score for Wozzeck, Berg attempted to sell copies of the vocal score to make some money. The pages of the score numbered 230 and the cost came to 150,000 Austrian Kronen (20 Swiss Francs). Berg sent one of his pupils out with the statement: "Art looks for Bread," soliciting patrons of the arts to buy a copy. "The production [of the score] was enormously expensive and I'll never be able to persuade a publisher to pay for it, so I would like to sell a number of them beforehand for my own account." "No publisher even thought of publishing the monster; the vocal score was in hot demand only amongst his good friends, and they got it free." "From the moment the curtain rises until it descends for the last time, there must not be anyone in the audience who notices anything of these various fugues and inventions, suite movements and sonata movements, variations and passacaglias. Nobody must be filled with anything else except the idea of the opera–which goes far beyond the individual fate of Wozzeck." 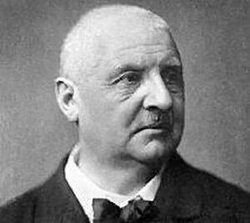 "Even Bruckner–who had been dead some years–was a long way from being 'generally recognized' or 'arrived' as one calls it. Societies had to be founded to bring his work within reach of the world's understanding. These societies considered it their business to make propaganda, as we call it today: introductory lectures, and performances of his symphonies in four-hand reductions...all this was necessary for Bruckner at the time." Below is the Wozzeck I am currently listening to - but on LP, yes, a real vinyl recording! Love. 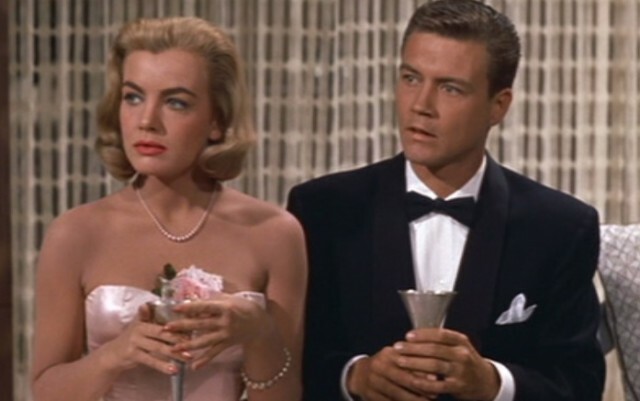 Finding a libretto and scene by scene musical analysis is easy online. I think the translation of the German (if you don't speak the language) is especially important to understanding Berg's musical choices. Enjoy!